As a scientist, Tempe should remain dispassionate. As a caring individual, she yearns to take the killers off the streets. With her boss Pierre LaManche in the hospital, and her friend Andrew Ryan disturbingly unavailable, Tempe begins a perilous investigation into a culture where evil often wears masks. 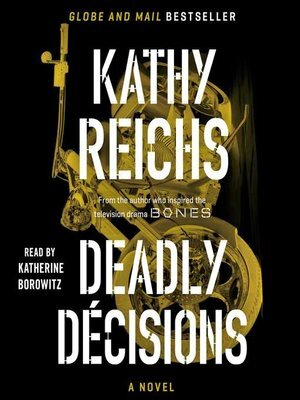 From blood-splatter patterns and ground-penetrating radar to bone-sample analysis, Deadly Decisions triumphantly combines the authenticity of a world-class forensic professional with the narrative power of a brilliant new crime-writing star in a richly nuanced thriller.